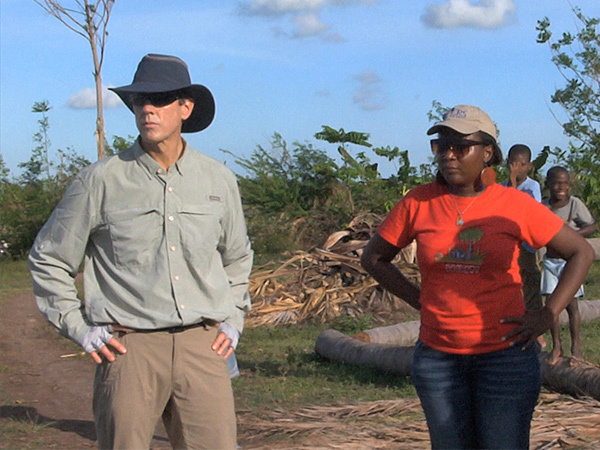 KIM LAWTON, correspondent: Soon after Hurricane Matthew slammed into Haiti leaving mass devastation in its wake, Sean Callahan was on the ground there viewing the destruction, meeting victims, and strategizing with local Catholic Relief Services (CRS) staff. 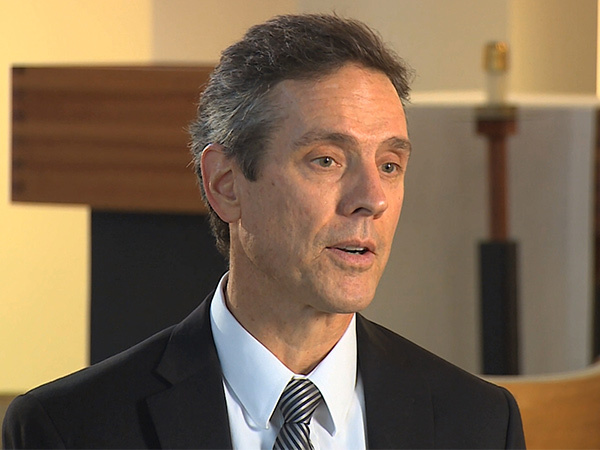 SEAN CALLAHAN (President and CEO, Catholic Relief Services): Sometimes people in these situations feel isolated, and they don’t know that people outside care about them. And so I think one of the things that we do is bring that message from overseas, you know, you can do it in Haiti, in Sudan, in Turkey, bringing that message that they’re not alone, that there are people that care about them. LAWTON: Callahan has spent his entire professional career—nearly three decades—working for CRS, which was founded by the US Catholic bishops during the Second World War to help Europe and its refugees. Today, the group works in more than 100 countries, providing emergency aid and assisting in long-term development. It frequently partners with local churches, other faith communities, governments, and secular organizations. 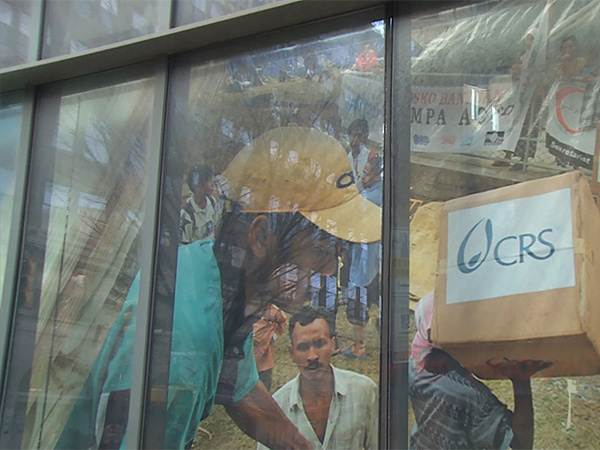 With a budget of nearly $900 million, CRS has become one of the largest faith-based relief agencies in the world. CALLAHAN: I see it as really trying to be a beacon of light in some of the darkest places around the world. So, we go there invited in by the local community, but try to bring either expertise or solidarity or some type of commitment that helps the local community develop and become stronger. LAWTON: Callahan grew up outside of Boston, part of a traditional Irish Catholic family. After graduating from Tufts University in 1988, he says he wanted to spend some time giving back. He joined CRS in Central America, earning $12 a day. 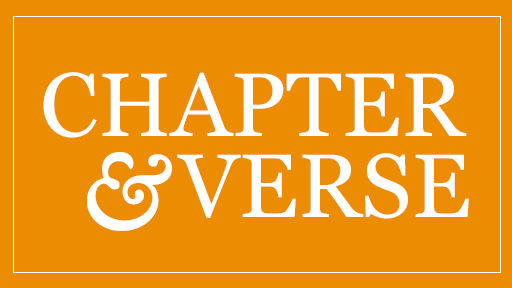 CALLAHAN: I committed that one year, and I thought it would be a year of service, but it was also a year of learning, what is my purpose on this earth now, and how can I contribute to making it a better world? I just found that it was a calling that I hadn’t known that I had at that time. LAWTON: Callahan stayed on with CRS in several positions, including a stint in India, where he worked with Mother Teresa—now Saint Teresa of Calcutta—and her Missionaries of Charity order. CALLAHAN: At first when I started working there it was overwhelming. Calcutta is a very densely populated city. There was 3 million people living on the streets, a million of them children, and I’d walk through the city and just see this dire poverty, and to be honest with you it was something I thought, one, got me down, and our system is failing all these people. LAWTON: He says Mother Teresa and the other nuns taught him to find hope, even in the most difficult places. 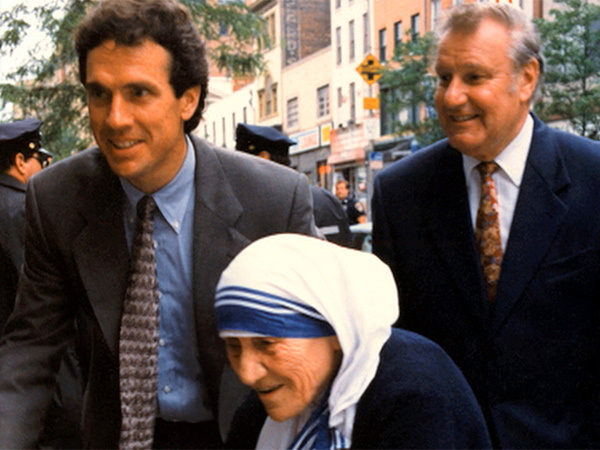 CALLAHAN: Seeing the inner strength that these sisters had and that Mother Teresa had, the joy that they had living in it—we can bring some joy to another individual, and that to me was incredible. She just had this effusive spirit of caring and giving, and it was then that I really saw the face of what poverty is and how we can all contribute to changing it—but that it’s not just an economic change, that it’s a spiritual change, and it’s a change of caring about people and being open to new people and being able to embrace them. LAWTON: For the last four years, Callahan has been chief operating officer of CRS. He believes the group’s work is an outgrowth of the Catholic faith. He says CRS represents American Catholics to suffering communities overseas. CALLAHAN: We’re very lucky that we can live the Gospel when we’re out in the field, because it is good news. It’s bringing the solidarity from one community to another. LAWTON: But, in recent years, CRS has come under fire from some very conservative Catholic bloggers for partnering with groups and projects that support abortion and the use of condoms. Callahan insists that CRS upholds church teaching. CALLAHAN: We’re an organization of the Catholic Church in the United States, and we’re faithful to the traditions of the church. So we are a pro-life organization. We don’t support abortion or artificial contraception. But we do reach out to communities and different people of all different faiths, and some who may not agree with us. LAWTON: He says an advisory council of moral theologians and a board of directors that includes bishops review CRS partnerships to make sure they are consistent with the faith. CALLAHAN: If we have the opportunity to save a life—malaria would be a good case. Sometimes the vendors who provide malaria nets are not consistent in everything that they do with Catholic teaching. But if we can provide malaria nets and anti-malarial drugs to children, we can then protect those lives. If we can do that it would be seen against Catholic teaching not to assist them. LAWTON: Callahan travels frequently—almost once every month. As the father of two, he loves connecting with children in need wherever he goes. But, he admits, that can be difficult as well. CALLAHAN: The toughest thing for me is when you see children that are not having the opportunity that they should have, and that’s the toughest thing because I think of my family and my kids, and by some accident of birth they’re having three square meals a day. We want every child to reach their full human potential, but whether it’s in Haiti, whether it’s in Ethiopia, or whether it’s the refugees coming out, seeing those children just really grabs me. LAWTON: Callahan says he’s concerned by the current anti-immigrant/anti-refugee climate he sees in the US. CALLAHAN: I don’t know if it’s more prevalent now. It’s at least a little bit more open now, and I think that may actually be a blessing, because now we can talk about it and address it head on. LAWTON: CRS has urged US lawmakers to maintain funding for humanitarian work overseas and to continue allowing refugees and immigrants to enter America. CALLAHAN: There’s often times that people then react to what in many cases seems like an evil of an ISIS, and they react in a way that doesn’t show our true character, that puts walls around us and that bars us from welcoming other people. We have to build that unity. We have to reach out to others, show that we’re not afraid. LAWTON: Working in so many seemingly intractable crises around the world can be discouraging. Callahan says visiting the thousands of committed CRS staff members and volunteers and hearing stories of strength and resilience amid tragedy renews his faith. CALLAHAN: The good, that common good, outweighs the evil that’s being done in those areas. LAWTON: And he says that encourages him to keep going. I’m Kim Lawton reporting. On January 1, Sean Callahan became the new president and CEO of Catholic Relief Services, the international relief agency of the US Catholic Church. 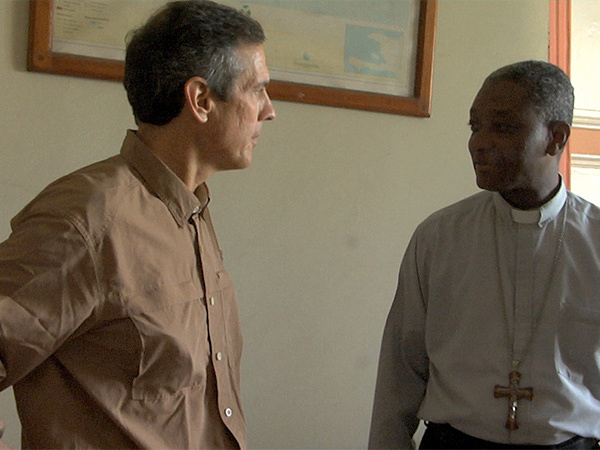 Correspondent Kim Lawton traveled to Haiti with Callahan last November in the wake of Hurricane Matthew and spoke with him about his humanitarian mission, his concerns for the anti-refugee climate in America, and what he learned working with Mother Teresa in India.